If you're heading to PAX South this weekend from January 27th through the 29th, consider yourself lucky as you'll get an opportunity to check out the Nintendo Switch weeks before it's launch on March 3rd. The Nintendo Booth will let attendees with a PAX South badge check out several Nintendo Switch games including The Legend of Zelda: Breath of the Wild, 1-2-Switch, Snipperclips: Cut it out, together!, Splatoon 2, ARMS, Mario Kart 8 Deluxe, Super Bomberman R, and Ultra Street Fighter II: The Final Challengers. What's more is that instead of just having the games setup to play in a traditional booth setup, the games can be experienced in creative environments that show of the unique functionality of the system such as simulating playing games on the go on a plane or in the comfort of a living room while being played on a TV. The main stage at the Nintendo booth will also feature competitions, live demonstrations, and video presentations among other surprises. If you're heading to PAX South this weekend, definitely check it out. 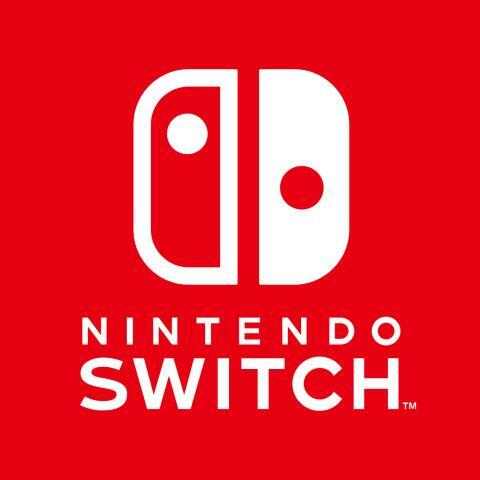 REDMOND, Wash.--(BUSINESS WIRE)-- Nintendo Switch launches around the world on March 3, but fans can play it weeks before that date by visiting the Nintendo booth (No. 11255) at PAX South in San Antonio, Texas. Nintendo is bringing its revolutionary home gaming system and many fun games to the Henry B. Gonzalez Convention Center from Jan. 27 to Jan. 29 during the annual video game convention. The interactive booth is open to anyone with a PAX South badge, and will let attendees experience several Nintendo Switch games, including The Legend of Zelda: Breath of the Wild, 1-2-Switch,Snipperclips: Cut it out, together!, Splatoon 2, ARMS, Mario Kart 8 Deluxe, Super Bomberman R from Konami Digital Entertainment and Ultra Street Fighter II: The Final Challengers from CAPCOM. About Nintendo: The worldwide pioneer in the creation of interactive entertainment, Nintendo Co., Ltd., of Kyoto, Japan, manufactures and markets hardware and software for its Wii U™ and Wii™ home consoles, and Nintendo 3DS™ and Nintendo DS™families of portable systems. Since 1983, when it launched the Nintendo Entertainment System™, Nintendo has sold more than 4.4 billion video games and more than 696 million hardware units globally, including the current-generation Wii U, Nintendo 3DS and Nintendo 3DS XL, as well as the Game Boy™, Game Boy Advance, Nintendo DS, Nintendo DSi™ and Nintendo DSi XL™, Super NES™, Nintendo 64™, Nintendo GameCube™ and Wii systems. It has also created industry icons that have become well-known, household names such as Mario™, Donkey Kong™, Metroid™, Zelda™ and Pokémon™. A wholly owned subsidiary, Nintendo of America Inc., based in Redmond, Wash., serves as headquarters for Nintendo’s operations in the Western Hemisphere. For more information about Nintendo, please visit the company’s website at http://www.nintendo.com.